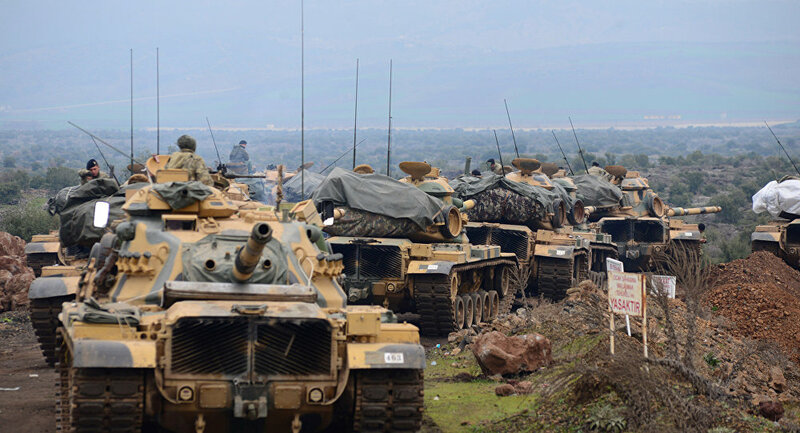 However, Turkey repeatedly underlined that it has no interest in maintaining a permanent military presence in Afrin region and its actions are justified as a legitimate self-defense against the YPG which had threatened Turkey’s security from the region. Turkey has the right to eliminate the security threats it has been facing through cross-border military action as this is a recognized rule of international law which is conferred in Article 51 of the UN Charter and in the relevant Security Council resolutions1. The YPG is the Syrian branch of the Kurdistan Workers’ Party (PKK), which is designated as a terrorist organization by the US, the EU and Turkey. Not only Turkey stresses this link, but also the authorities and the official sources in the US admitted the relationship between the PKK and the YPG on many occasions. The former-US defense secretary Ashton Carter confirmed the substantial ties between the YPG and the PKK during a testimony before the Senate panel on 28 April 2016. Also the United States National Counterterrorism Center (NCTC), which is the primary organization in the US government for integrating and analyzing all intelligence pertaining to terrorism possessed or acquired by the US government, described the YPG and its political wing, the PYD, as the Syrian affiliate of the terrorist organization PKK-KONRA-GEL (KGK). From the Afrin region, the YPG carried out 15 major terrorist attacks against Turkey from 2015 until the group was driven out of the region by the Turkish military in 2018. In total, the YPG harassed Turkish border over 700 times in terrorist attacks which also claimed the lives of civilians. Apart from the YPG’s direct attacks against Turkey, the group has been actively contributing to the armed campaign against Turkey of its parent organization, the PKK. On 8 December 2016, the PKK carried out a bomb attack outside a stadium in Istanbul. The attack left 47 people dead and 166 people injured. As for the suicide bomber, he turned out to be a YPG member who came from Syria. It was also revealed that the PKK has used the arms delivered to the YPG by Turkey’s NATO ally, the US, against Turkey. On 2 November 2017, the PKK killed 8 Turkish soldiers in the Turkish border town Semdinli. It was revealed that PKK militants used AT-4 anti-tank missiles given to the YPG by the US for the anti-DAESH campaign. The YPG’s tunnels inside Turkey were discovered by the Turkish authorities in August 2017 between the Syrian border city Qamishli, which is under YPG control, and the Turkish border town Nusaybin. It is believed that the arms given to the YPG to fight DAESH were moved via these tunnels to carry out attacks in Turkey. The reactions coming from the international community also acknowledged Turkey’s legitimate security concerns in the Afrin region. NATO Secretary General Jens Stoltenberg stated with regard to the military intervention that Turkey has a right to act in self-defense. Then British Foreign Secretary Boris Johnson and US Secretary of Defense Jim Mattis have also acknowledged Turkey’s right to keep its borders secure and self-defense. Then Dutch Foreign Minister Halbe Zijlstra also admitted that Turkey has sufficient grounds for self-defense and added that the country faced attacks (from the YPG).